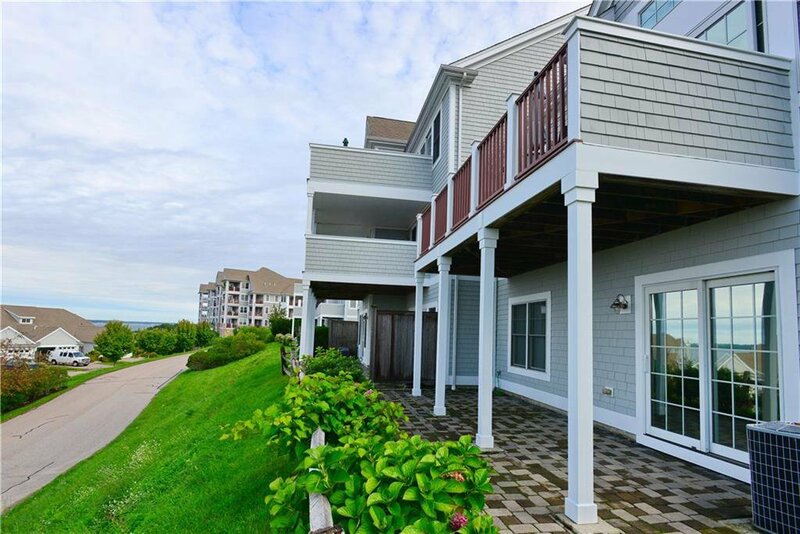 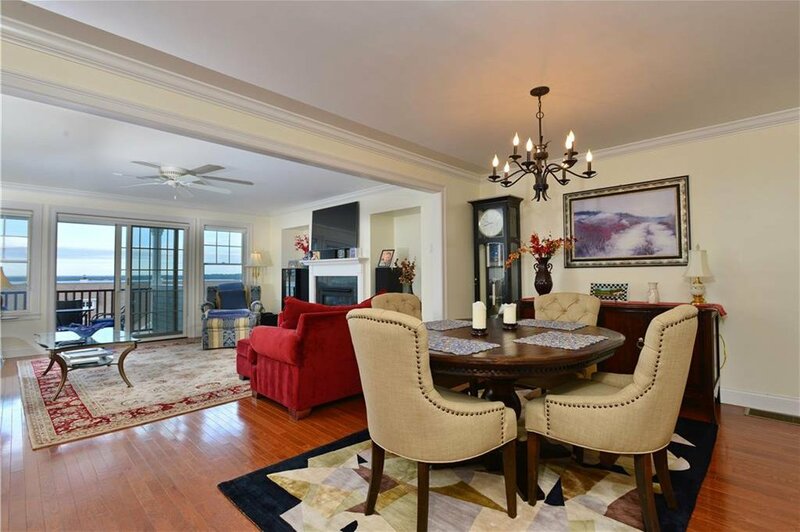 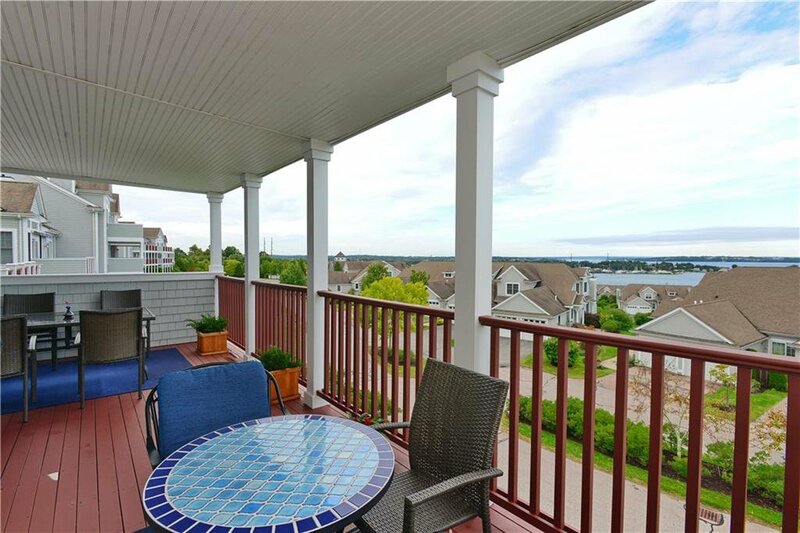 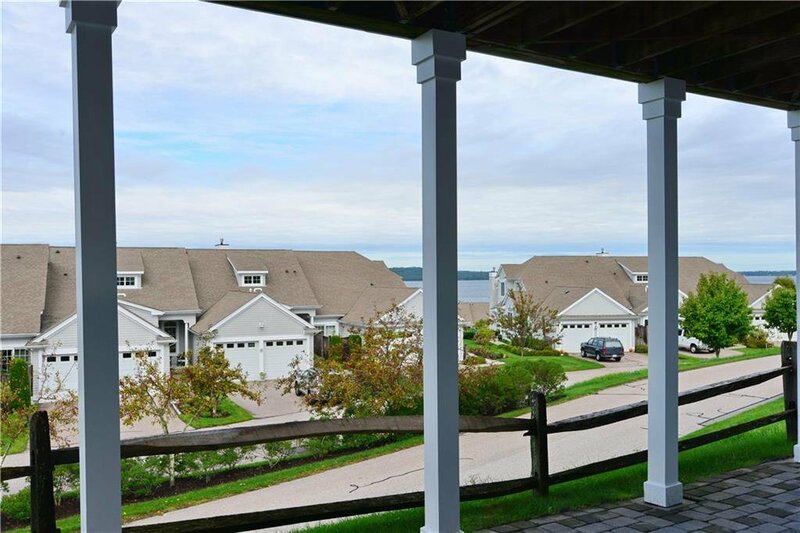 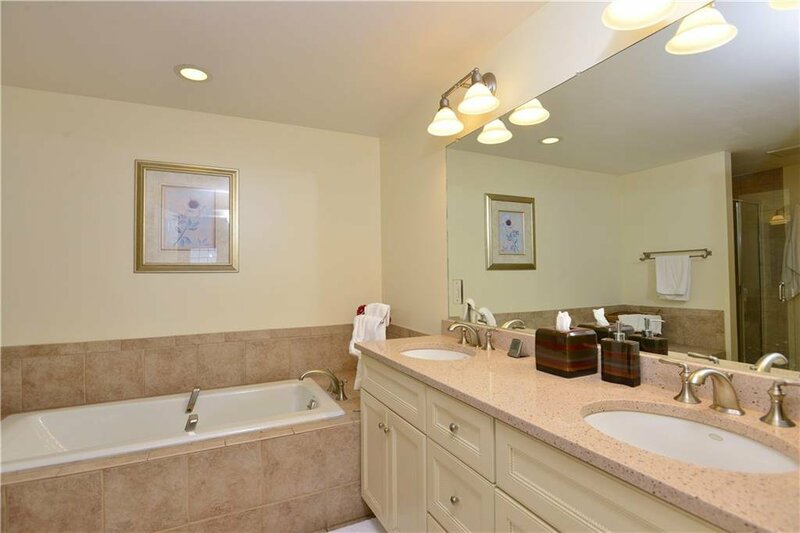 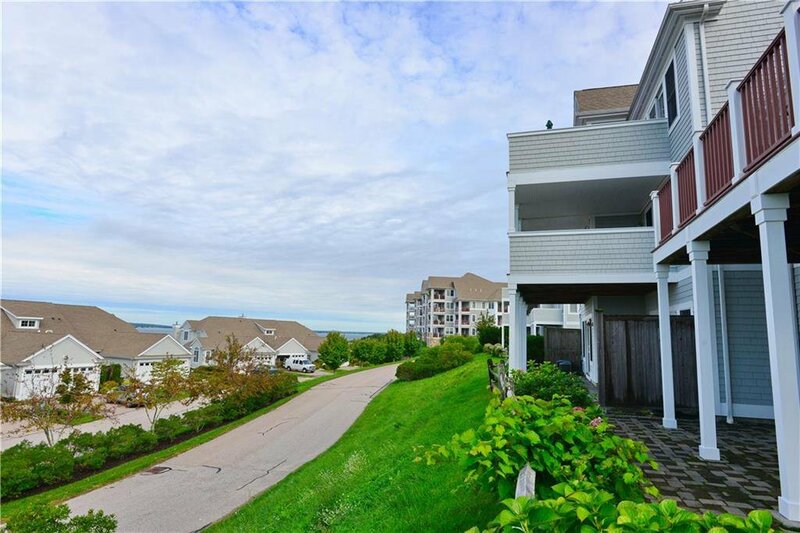 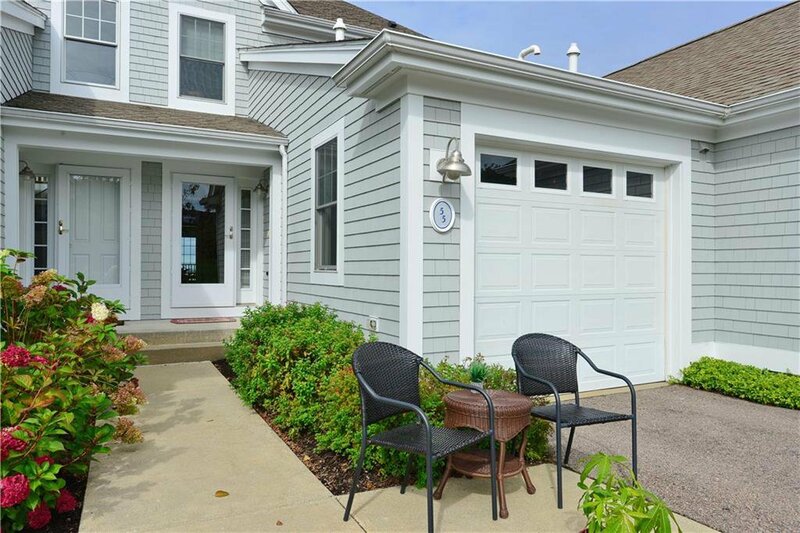 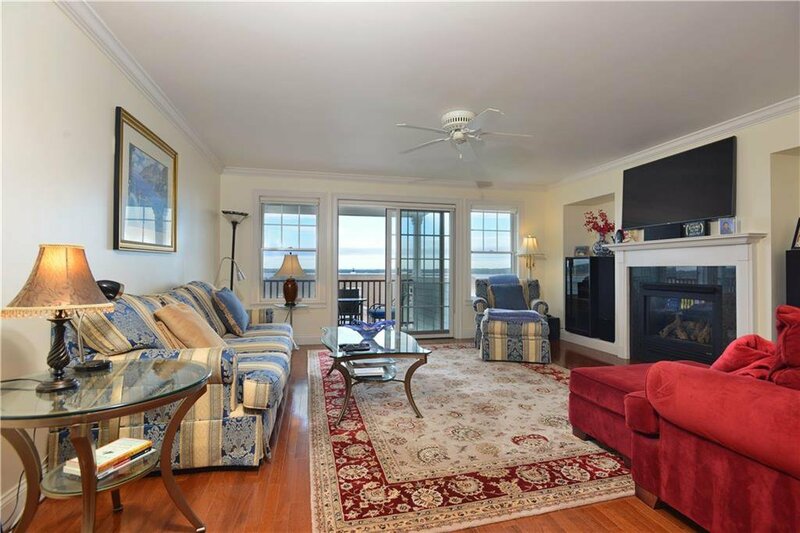 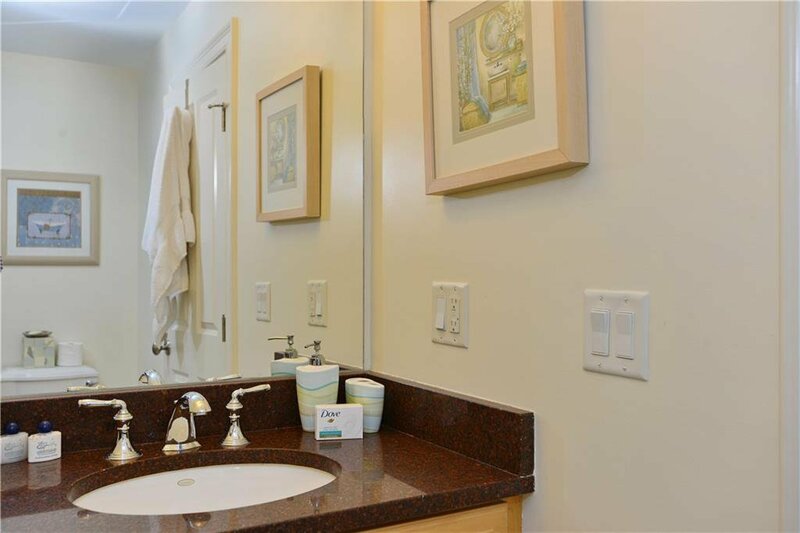 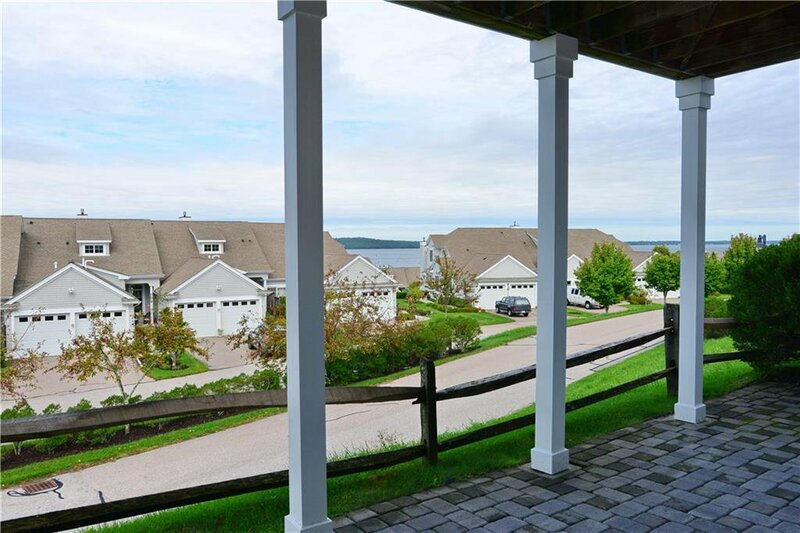 Spacious condo with main level master suite at The Villages on Mt Hope Bay, Newport County's only waterfront 55 plus community. 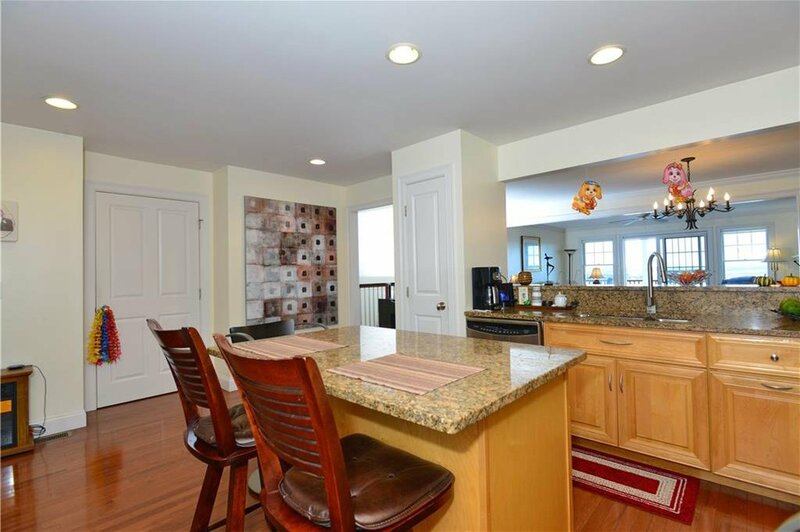 The Westport design offers an extra wide footprint resulting in a very open kitchen, dining and living room spaces. 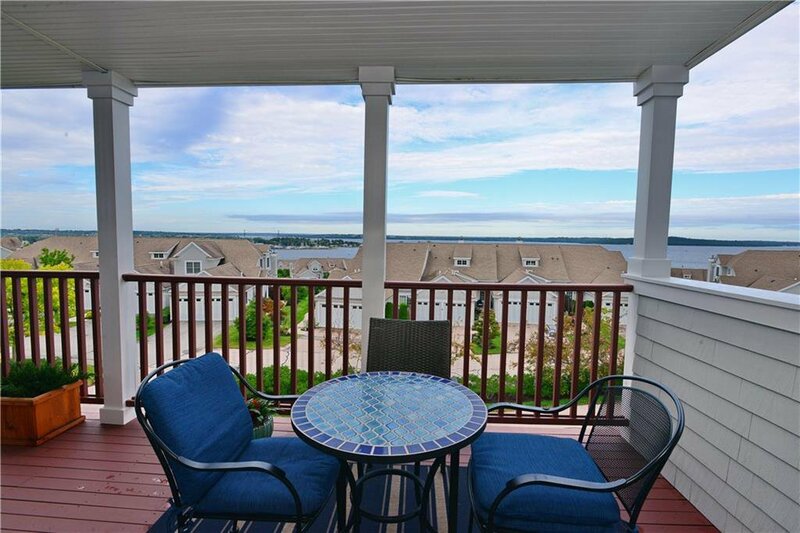 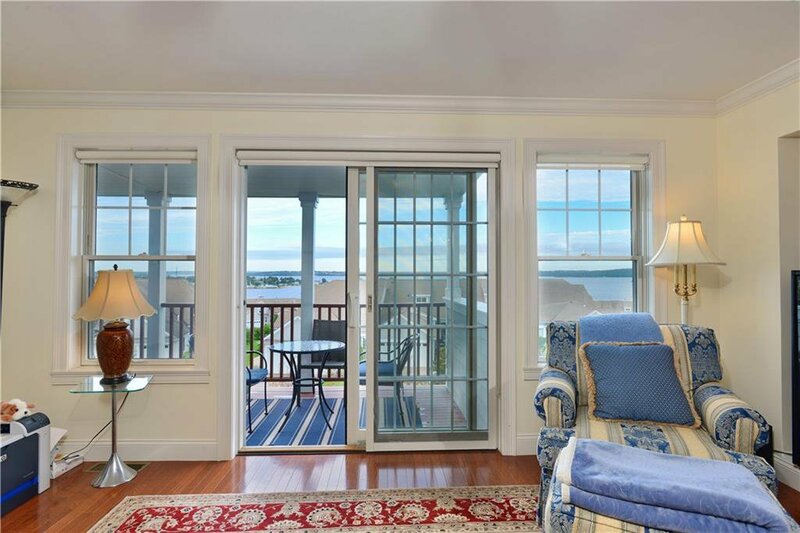 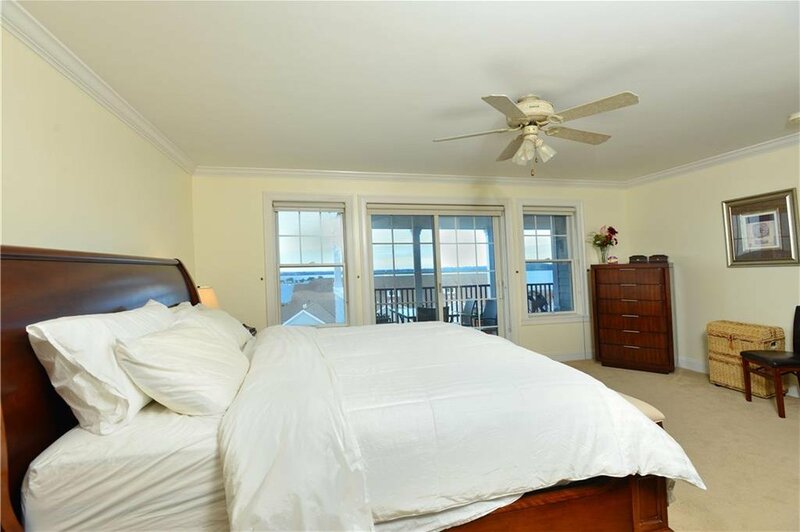 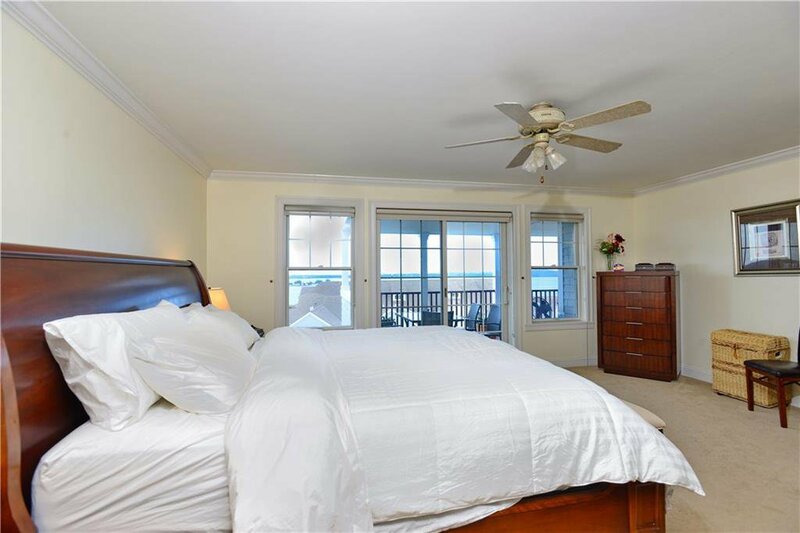 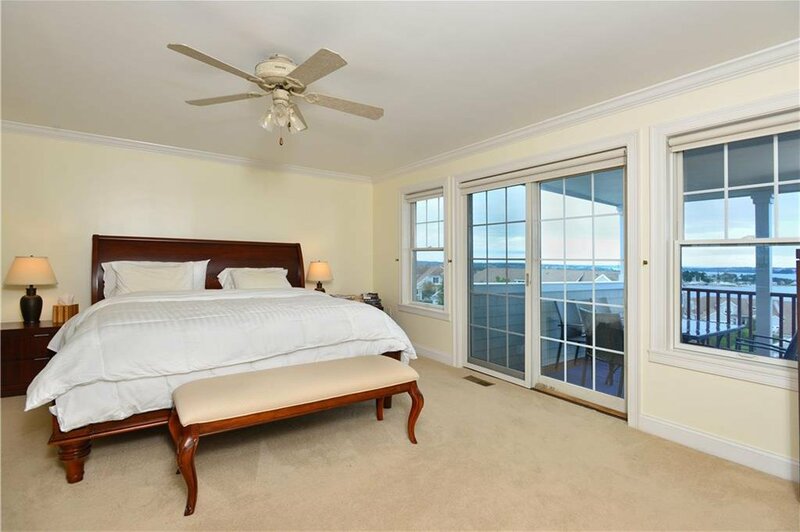 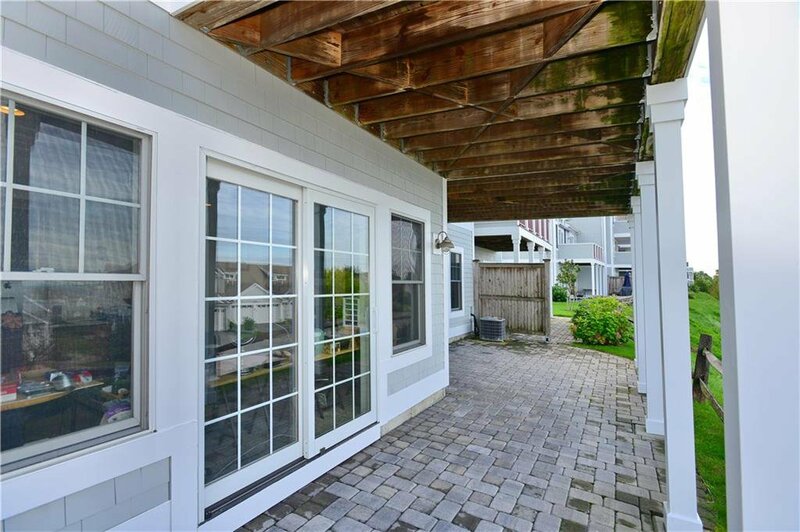 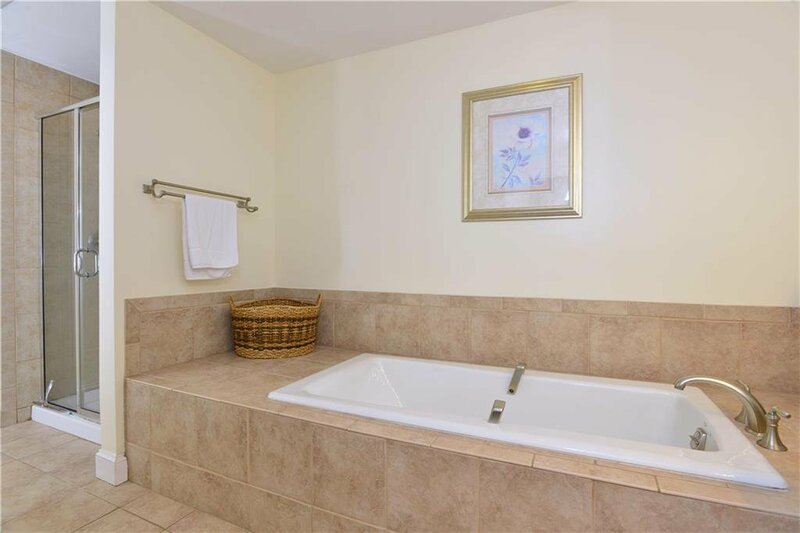 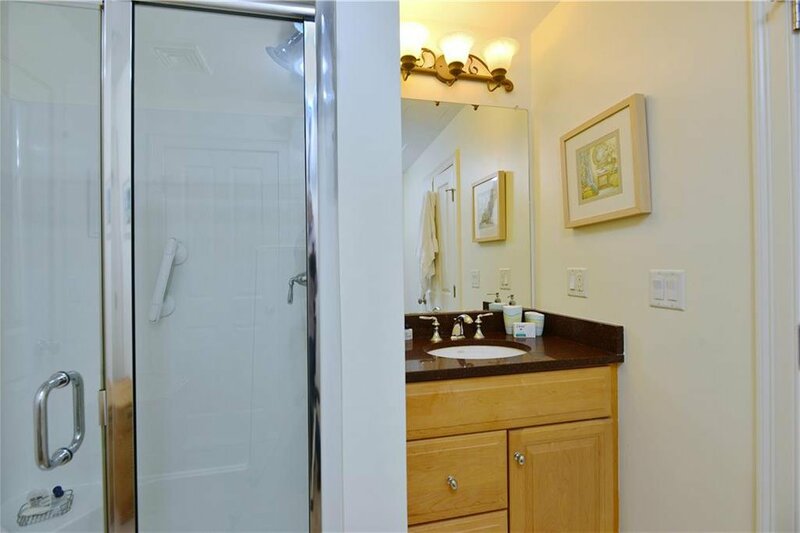 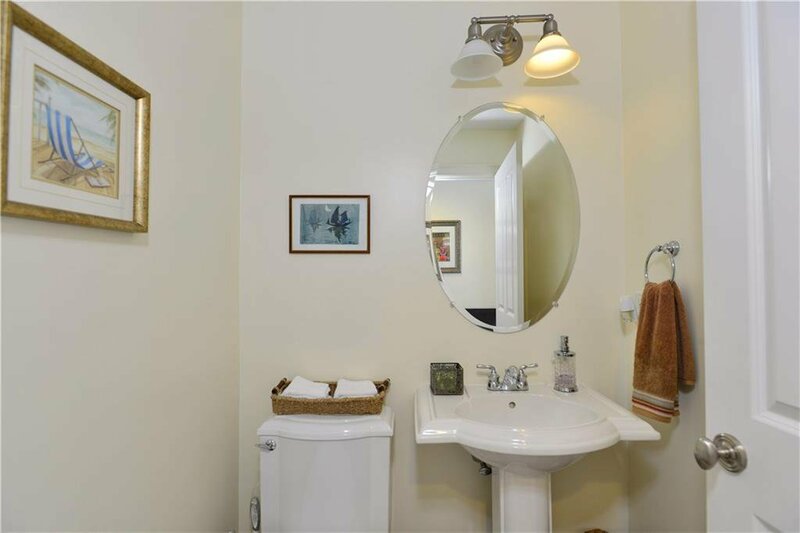 Generous master suite (18 x 15) is conveniently located off of living room, boasts 2 closets, master bath and access to covered mahogany deck capturing the most amazing sunsets over Mt Hope Bay and Bridge. 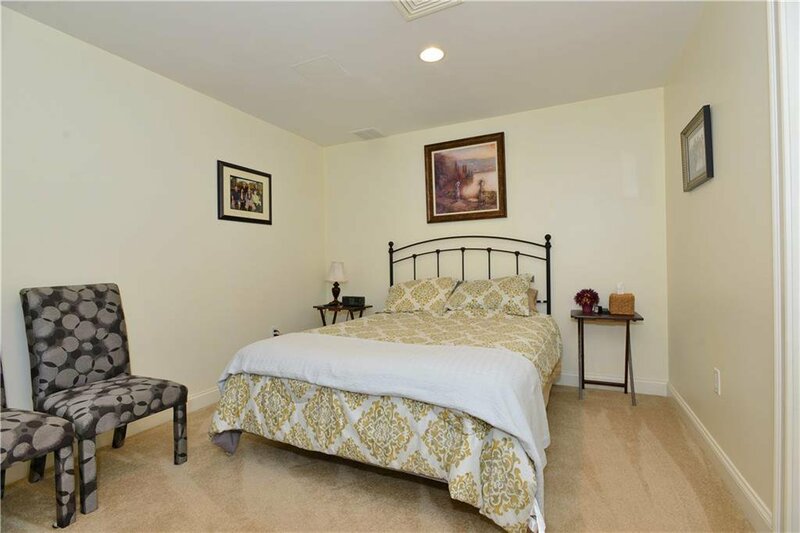 Finished walkout lower level offers another bedroom, full bath and living area with sliders to stone patio: ideal for guests, home office, media room or live in help. 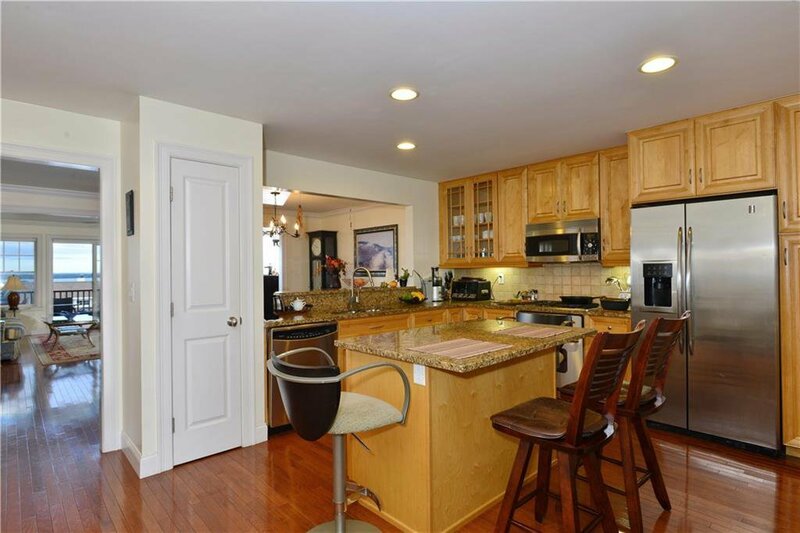 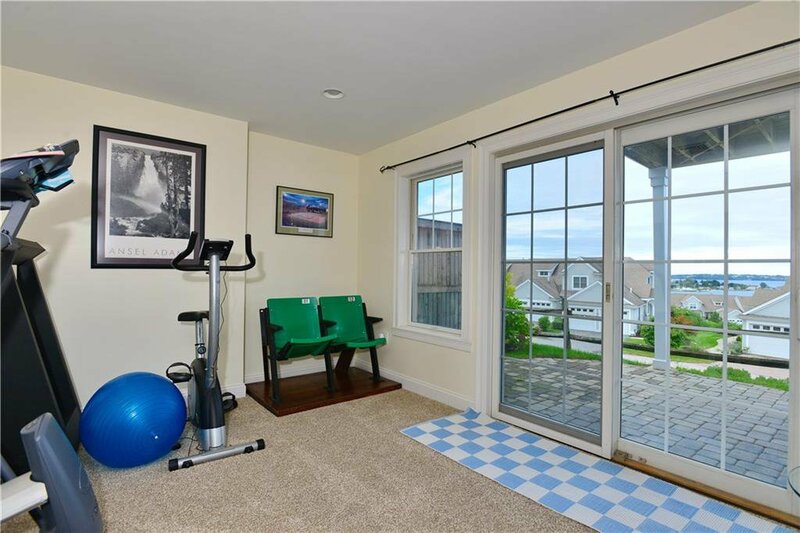 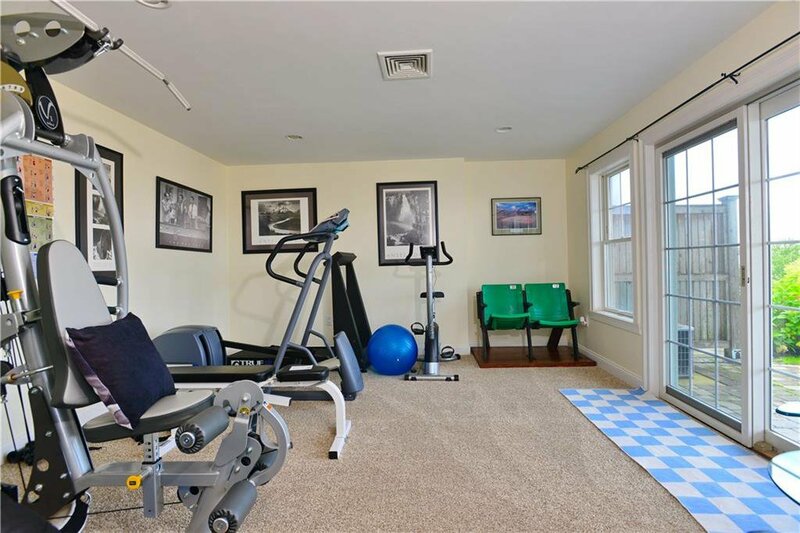 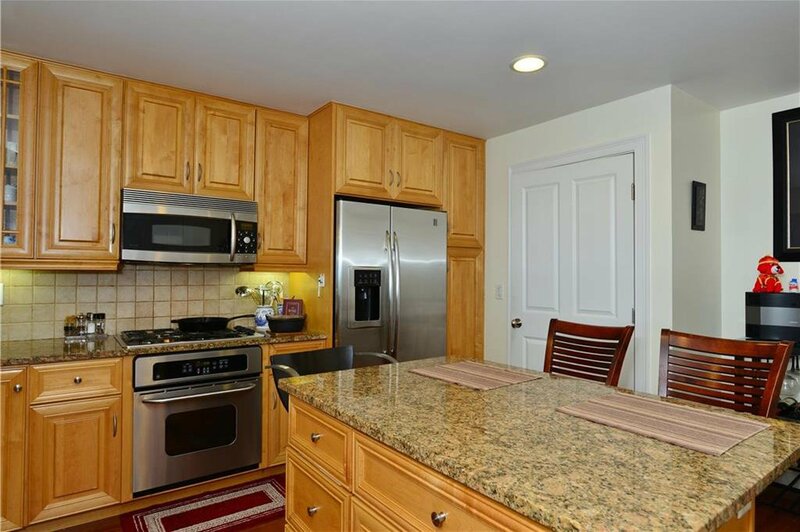 An extremely active, welcoming community with clubhouse, outdoor pool, fitness room, billiards, tennis and pickle ball. 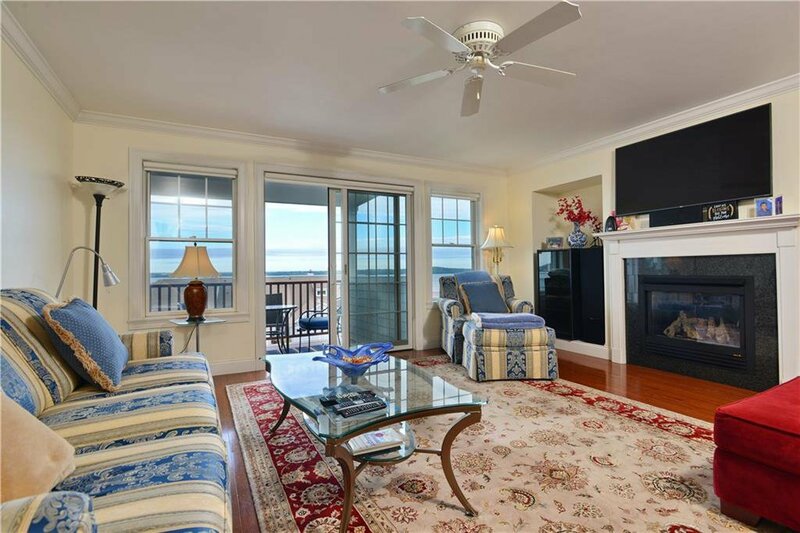 Ample opportunities to get involved in clubs such as: gardening, book clubs, crafts, mahjong, bridge, poker; participate in regular golf outings to local public courses, tennis and pickle ball ladders, walking groups, and the ever popular model yacht club regattas! 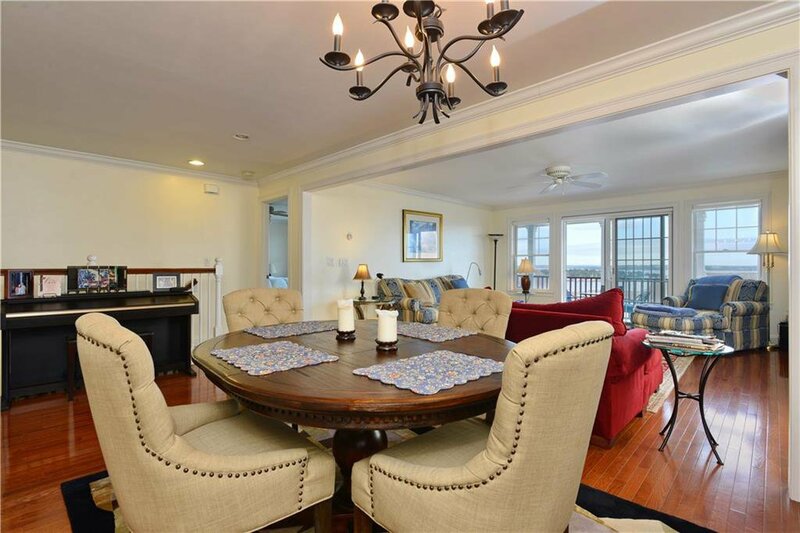 Frequent social gatherings by the pool and clubhouse, some pot luck and others catered. 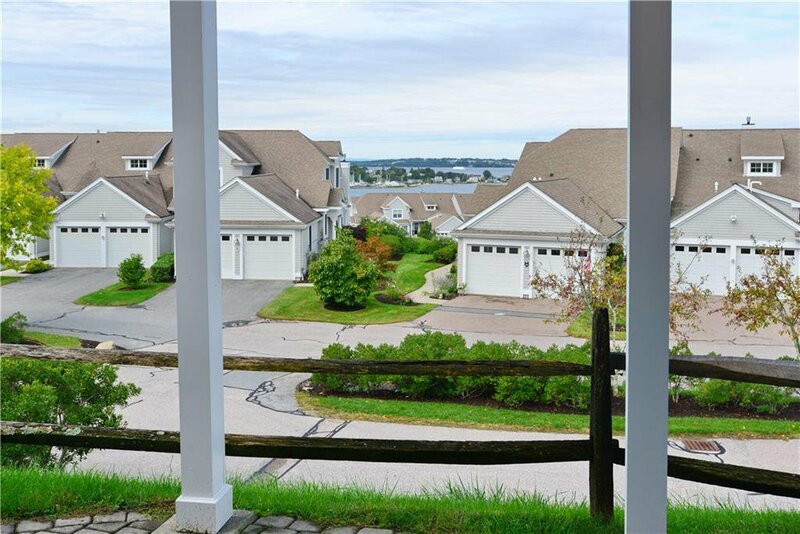 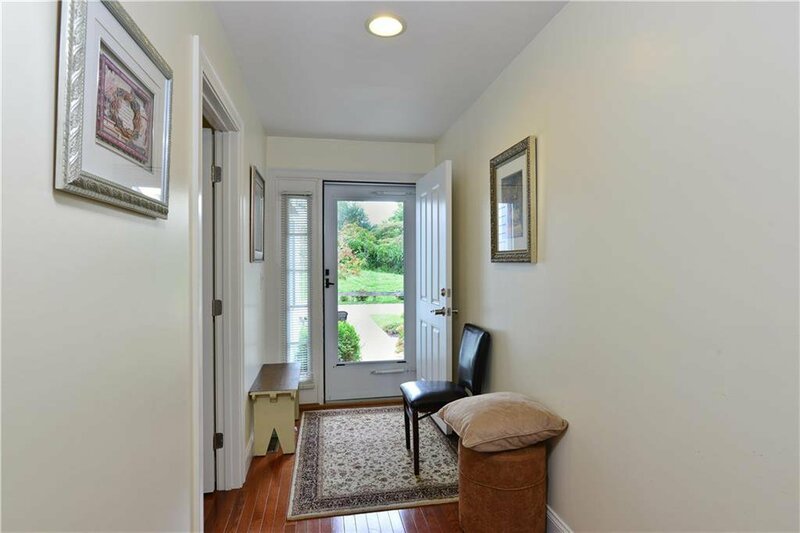 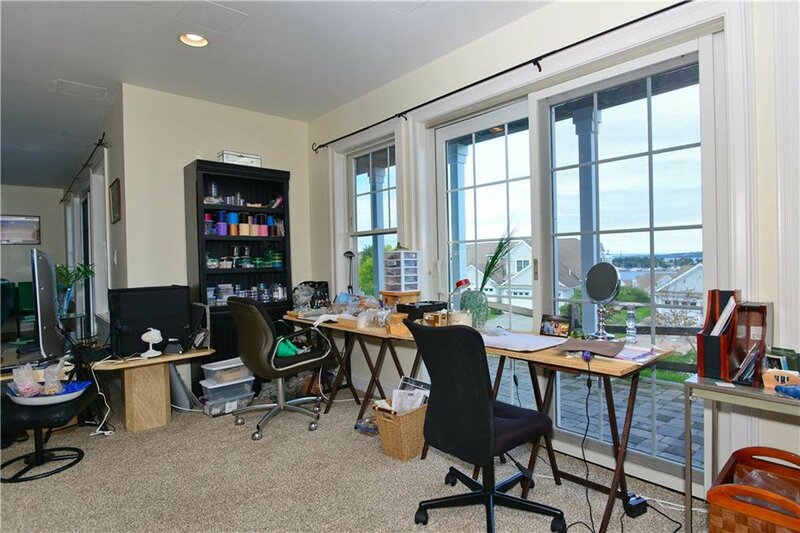 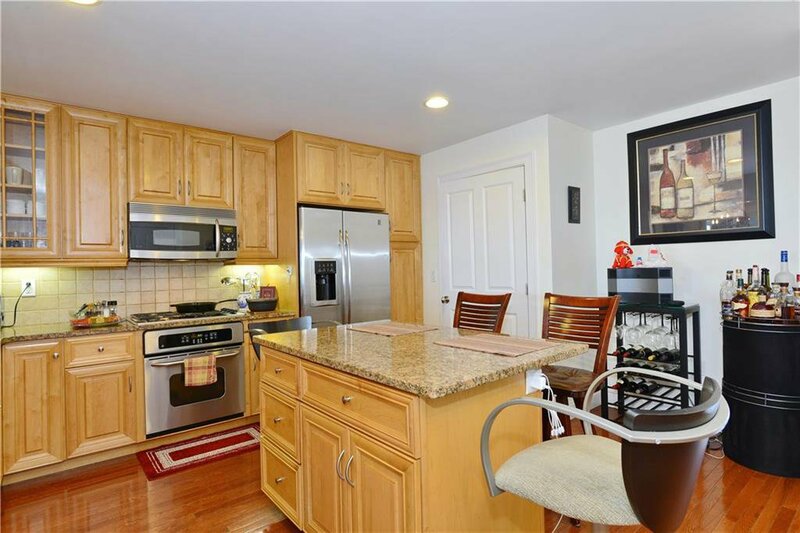 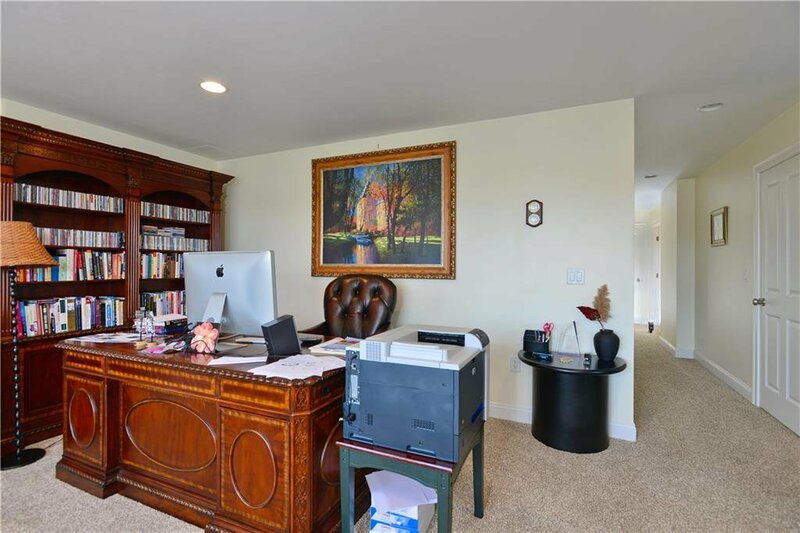 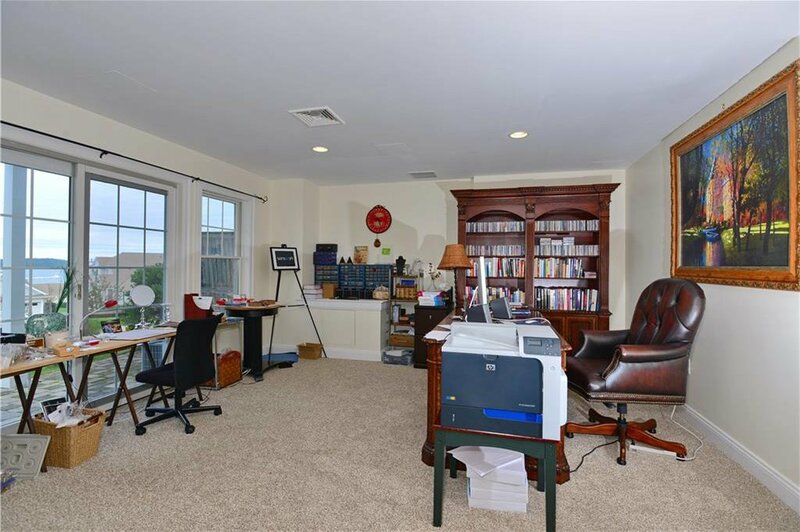 Professionally managed and conveniently located right off of RT 24 with easy access to Newport, Bristol, Providence, Boston, Cape Cod. 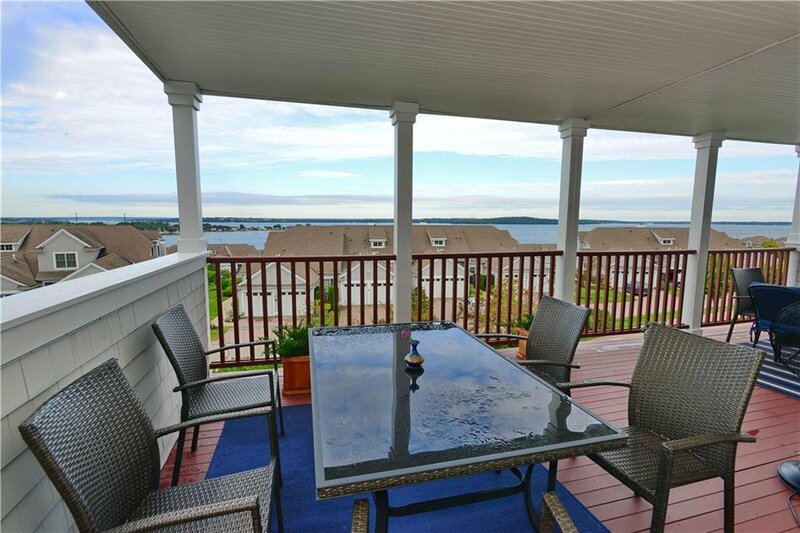 To quote a recent home buyer "I feel like I'm on vacation every day!"